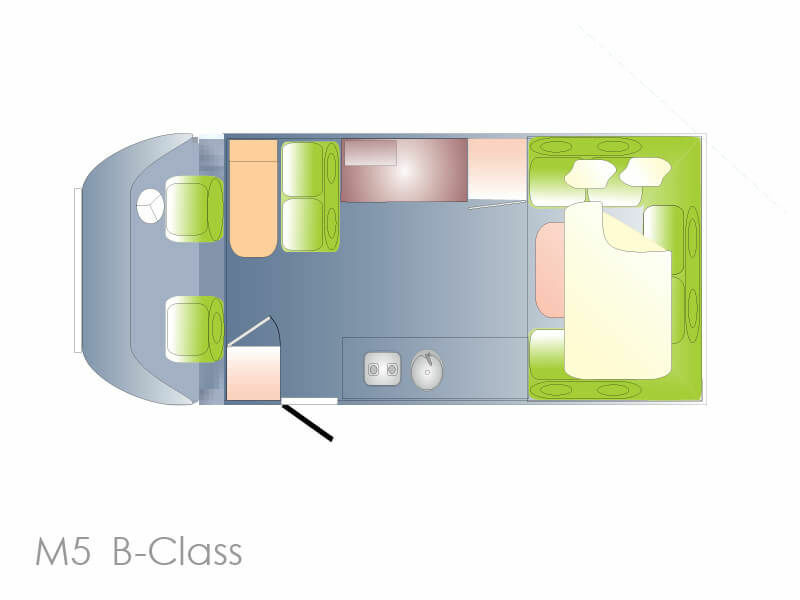 On step up from the Ovation M4, the M5 has more room to move and a wonderful club lounge living area that you can spend hours relaxing in during the day, and effortlessly wind down the bed at night for a comfy nights sleep. 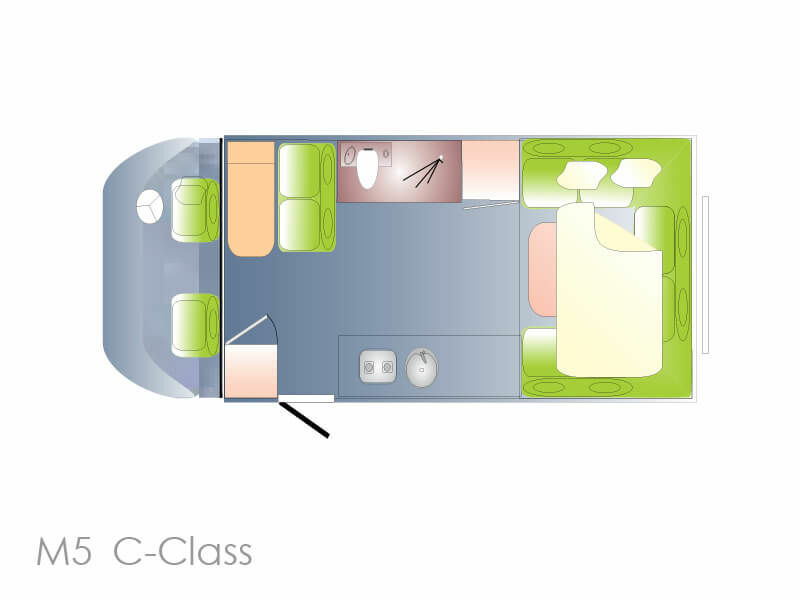 With a bed at each end of the motor home, the Ovation M5 provides more than enough space for a family travelling together. The kitchen is also impressive, with all the cooking facilities you'll need to keep your travelling companions happy. Loads of cupboard space and plenty of bench space make it a winner. Take a look at the photos and you'll see the crafted timber furniture and deluxe fittings that add comfort and functionality to the spacious living and kitchen areas. Take a look at the specs and you'll see how the Ovation M5 comes with so many luxuries as standard, that it's impossible to look past.